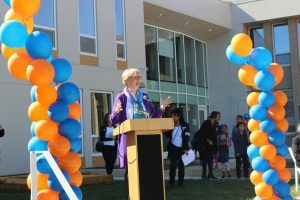 Briya Public Charter School, along with Bridges Public Charter School and Mary’s Center, celebrated the opening of their joint Fort Totten campus with an Open House this October. Together, the three organizations will offer education, health care, and social services to the Fort Totten community. 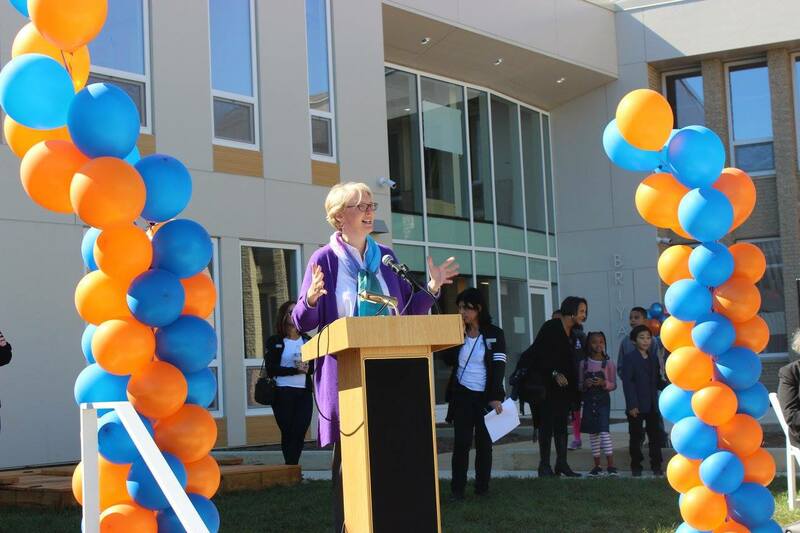 Approximately 1,600 people—neighborhood residents, funders, political leaders, school families, staff, board members and others—attended the event, which included tours of the 81,000-square-foot facilities, activities for children of all ages, health screenings, food, and a short program and ribbon cutting ceremony. Jennie Niles, Deputy Mayor for Education, spoke to the attendees during the program portion of the event. Joe Bruno, President of Building Hope, and Don Soifer, Vice President of the DC Public Charter School Board, also addressed the crowd. 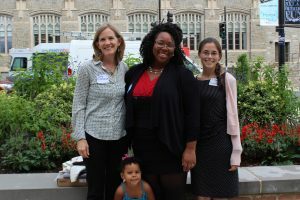 “If you look at the excellence that Briya represents, if you look at the excellence that Bridges represents, and if you look at the excellence that the Mary’s Center partnership has delivered for our community … you can see the way that this represents the very best of what public charter schools deliver to our city,” Soifer said. To conclude the program, a group of organization leaders, board members, supporters, and students came together for a ribbon cutting to officially inaugurate the new building, which is Briya’s fourth location in D.C.
Briya student Maria Elena Van Maren came in first place in the ESL category of the DC Adult Education and Family Literacy Week essay contest. Another Briya student, Mayra Chavez, came in second in the category. In their essays, the students responded to a prompt about barriers they face and overcome as adult learners. As Van Maren wrote, barriers to getting her education started early: at age 11, she left school in her native Colombia to help her single mother provide for their family by cleaning houses. In her essay, she explained that she still faces many obstacles today, including balancing working, caring for her children and studying at Briya. “We are so proud of Maria Elena and Mayra for their participation and success in the AEFL essay contest,” said Elise Gorman and Judy Kittleson, the students’ instructors. 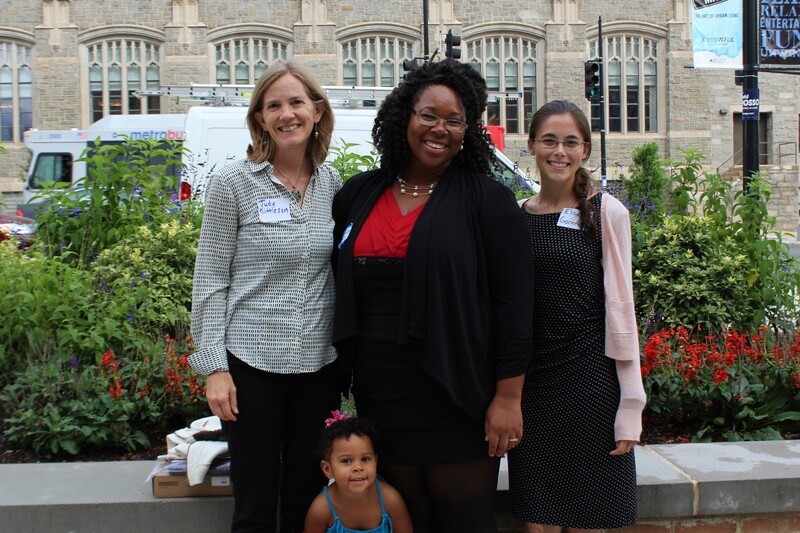 Van Maren was recognized for her winning essay at an event organized by the DC Adult Education and Family Literacy Coalition, where she received a prize. Van Maren and adult learners from other DC programs also participated in a panel about the issues they face. As part of the panel, Van Maren shared her dreams for the future. “I love to help people, and how to be able to help people is with my education,” she said.